Carly Booth (pictured) Comrie, Perthshire, is set to support Scottish Golf’s plans to grow the game among women and girls in the Home of Golf after it was announced on International Women’s Day that the former Scottish Girls’ Champion will partner the national governing body as an ambassador for women and girls’ golf. A two-time winner on the Ladies European Tour, Booth has enjoyed success both at amateur and professional level and is looking forward to playing an active role in supporting Scottish Golf to deliver on its vision of making golf Scotland’s game for everyone. Booth, who is currently in Australia for the Women’s New South Wales Open, will work with Scottish Golf in her new ambassadorial role to raise the profile of women and girls’ golf through a number of exciting initiatives in 2019. “If there is one thing that I am passionate about, it’s encouraging girls and women into golf and sport. So, with that in mind, I am both ecstatic and honoured to have the opportunity to work with Scottish Golf to spread that message as wide as I possibly can. 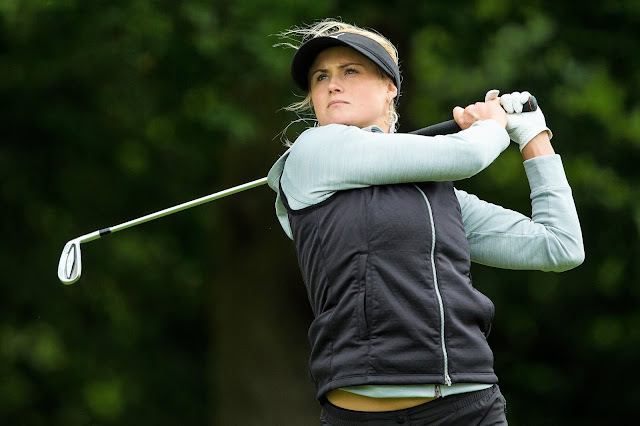 “Carly is an extremely popular role model in golf, and we are delighted to be working with her to encourage more women and young girls to take up the game here in its home. "Having had a fantastic career both as an amateur and as a professional, Carly’s commitment to be the best she can makes her an excellent role model for other women and girls in Scotland. We are looking forward to working with Carly through a number of exciting projects this year"